I once cosplayed as the lady I’m going to tell you about this week, totally unintentionally. Though I have to say I prefered the shade of my mohawk better. Just kidding, ours were totally the same color. Her name is Punk Mambo, and she’s got some Bad Brains. 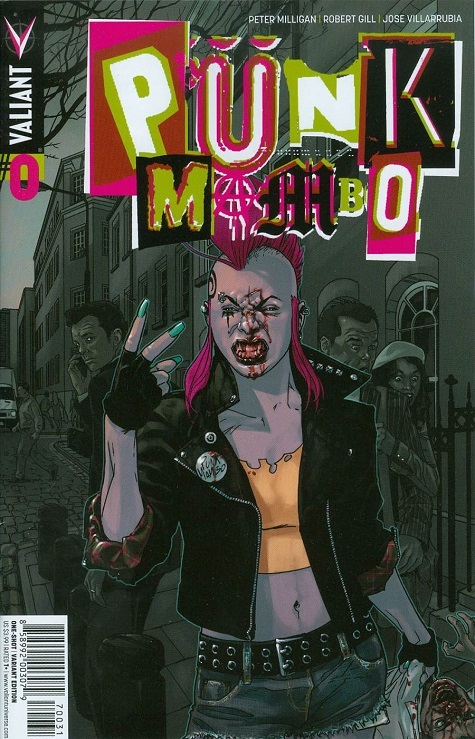 Though it’s well-known that she created herself, her makers in this world are Peter Milligan and Roberto de la Torre. 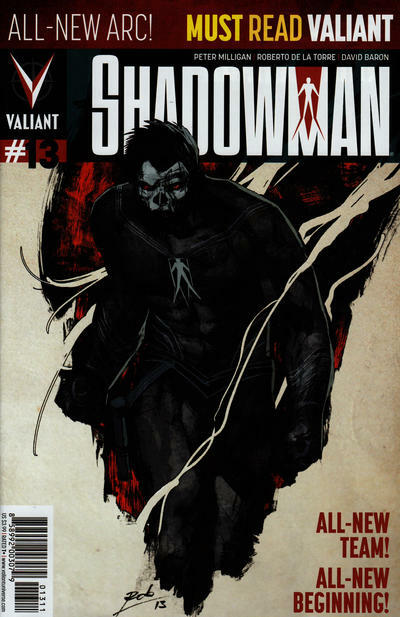 Her first appearance was Shadowman #13 – Fear, Blood, and Shadows Part 1: Sniffing Glue. And if you don’t like a book titled that, I don’t want to rise any anarchy with you, in the UK or elsewhere. 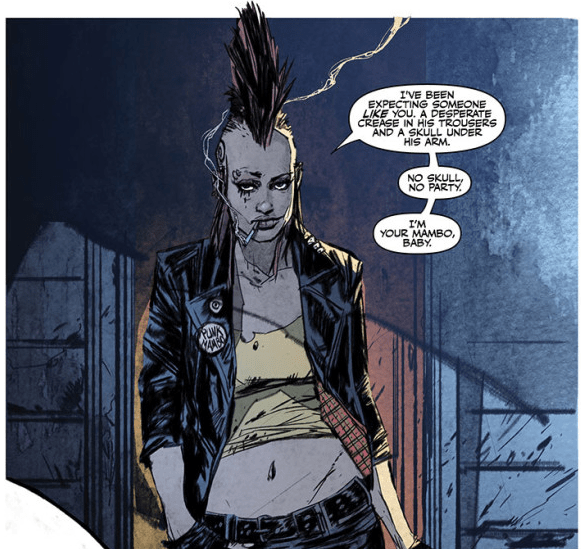 She has some roots, but I’m going to be focusing on Punk Mambo’s one shot: Punk Mambo #0, because it’s amazing and one of the best comics in existence. There, I said it, and I’m not sorry one bit! She’s a voodoo priestess that is, like her name states, a punk. Though she lives in the Bayou, practicing voodoo and letting people come to her and leave her gifts to make her potions. If they displease her, she unleashes terrifying hallucinations upon them, or worse. She knows if you drain the blood, the heart is wise. Punk Mambo’s real name is Victoria, and used to go to an uppity school where she wasn’t welcomed because of her lifestyle or look. Hold on, I’m getting flashbacks here. So what else is a runaway to do but do just that, and she chose to go to London. There she met two fellow punks named Noxo and Dexy who took her under their wing, so she thought. It wasn’t long til they turned on her, offering her to a man named Joe Mayhem. He practiced voodoo and used up unsuspecting kids like Victoria, needing their energy for his punk wanga. Most kids were broken and lost their will to live, but Victoria was strong, and watched him work his magic until she finally escaped. After that, she sought vengeance upon her two supposed friends, Noxo and Dexy. They should have known she didn’t want to be their dog. Using her newly-learned voodoo powers, she found them, and years had turned them into corporate sellouts. Getting into their minds was easy for someone like Punk Mambo, and she then focused her energy on the man who had wronged her, Joe Mayhem. The two ran into each other at a punk show, and as the stood face to face, she looked at the man who had let her into his life unaware, despite the magic and fire in the night. He had the nerve to say something idiotic things to her, and she quickly headbutted him, spewing his blood all over the place. She had realized something: that she liked herself the way she was, and walked away saying, “I made myself.” Insert paper-mache reference here. So Victoria is not a 21st century digital girl. She’s a product of anarchy, rebellion, and fight that symbolises everything that is punk. She doesn’t just wear the look, she is the embodiment of it. Going hard against what her parents wanted, what could have been her fate, and embracing herself no matter what anyone said against her. The girl holds up her head to high, and I think I wanna be her best friend. Kudos to the site for spotlighting a Valiant character! However, you forgot to even mention the publisher. 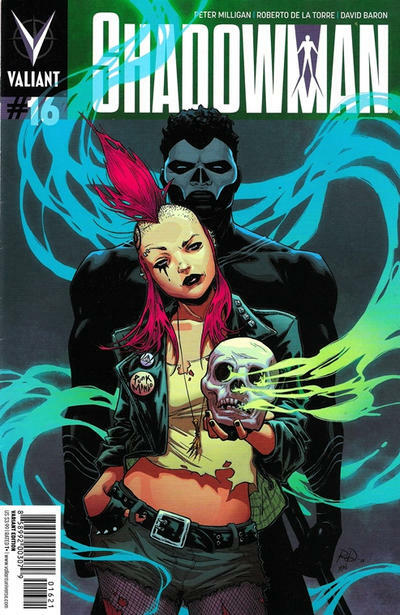 Valiant comics is drenched with new, inspiring characters like Punk Mambo, and it’s just a matter of time before the comics community at large passes on the next Marvel/DC Afterbirth War and diversifies themselves into Valiant. Yeah forgot to mention… They still put out books? They’re pretty much the only publisher pushing the superhero medium forward; third largest shared universe in comics. DC and Marvel are just cyclical, rehashing the same old afterbirth. Try something new. A year from now you won’t regret it. Thank you ! Love the Article.